If you are in the market for the best in animal control practices, at an affordable price, Critter Control is the answer. Since 1983, we have been at the forefront of animal control practices, specializing in all aspects of animal removal, exclusion, and prevention. The methods we use are both environmentally friendly, and humane to the nuisance animals. Wild animals can quickly turn from an annoyance, into a dangerous and expensive infestation. 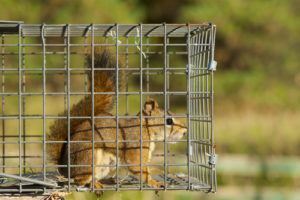 Many wild animals make their homes in areas that are difficult, or nearly impossible for the average homeowner to access, and without the proper tools, training, and techniques cannot be safely removed. In over three decades, there hasn’t been an animal control problem that we haven’t been able to solve. We are equipped to handle any nuisance animals from mice and raccoons, all the way up to snakes and even alligators. It is imperative that you seek the help of a professional if you find yourself facing an animal control problem. Many animals carry dangerous diseases that can put the safety of you and your family at risk. Our specialized training allows us to handle these situations safely, while our habitat modification and animal exclusion techniques prevent animals from returning to your home. Without those practices, animals can quickly make their way back into your home, causing further damage. If you have an animal control problem in your home or business, there is no time to spare! Give the trained professionals at Critter Control a call at 407.295.7194. We are prepared to handle any needs or questions you may have!